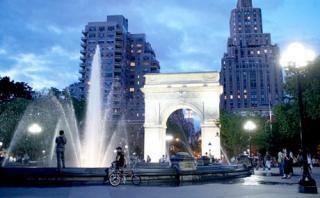 Washington Square Park is one of New York’s 1,900 parks. The park is 9.75 acres and is located in the Greenwich Village. The park was created in 1871. It is now maintained and operated by the New York City Department of Parks and Recreation. Due to the paving in the park, there are not a lot of trees and flowers. The park is an open space and is greatly known for the 77 foot Washington Square arch located in it. The park also has a large fountain located inside of it so that tourists and residents are able to sit around it. Among those features there are paths to stroll on, chess and scrabble play areas, park benches, picnic tables, and play areas for dogs. This park adds a little bit of nature to the city.